Arcade Hunters: Arcade Hunters Podcast Episode 71: Lo-Fi! 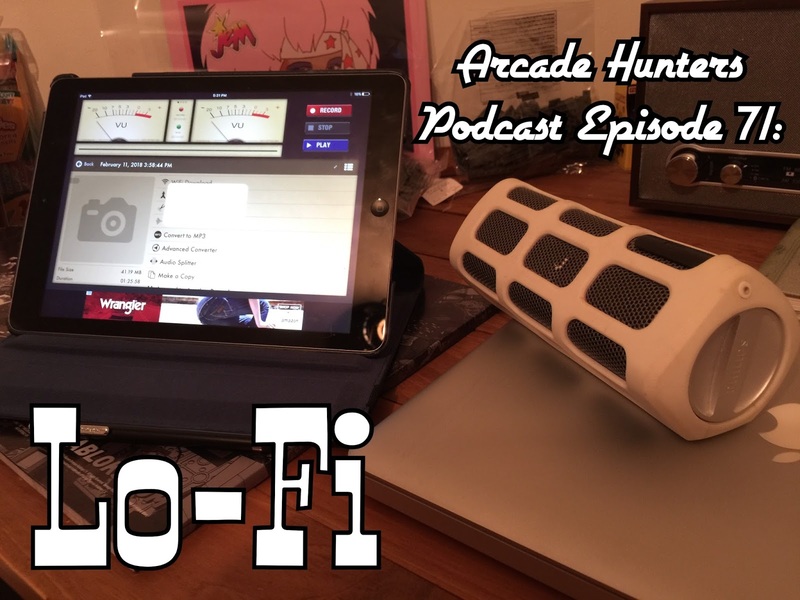 Arcade Hunters Podcast Episode 71: Lo-Fi! After a long break and an office move, we finally jerry-rig a recording set up for a new episode! Join us as we discuss what has been going on, new arcade games, new pinball games, chalky Mario marshmallows, and so much more! We are all over the place, per usual in this weeks episode. So if you want to hear about new cereals, old cereals, classic arcade games, Rampage toys, new Stern pinball announcements, poseurs, and arcade games using curved projection screens; this episode is for you!